Two easy-to-see roadside waterfalls that are popular must-stops on any road trip. Spectacular year-round, though parking may be limited depending on season. Koosah and Sahalie Falls are located along the McKenzie River in the Cascade Mountains. 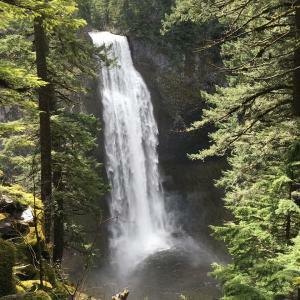 An easy family-friendly 2.6 mile (4.1843 km) loop trail connects Koosah and Sahalie Falls. The hike borders the McKenzie River through towering forest. The trail is not wheelchair accessible due to stairs. 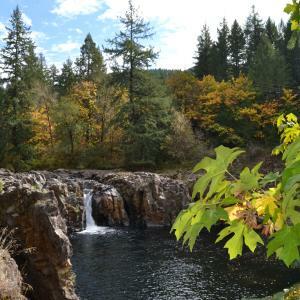 Koosah Falls drops approximately 70 feet (21 m) into a deep pool. Sahalie Falls is a mass of foaming white water plunging 100 feet (30 m) over a natural lava dam. This famous falls can be spotted in Disney&apos;s movie "Homeward Bound". 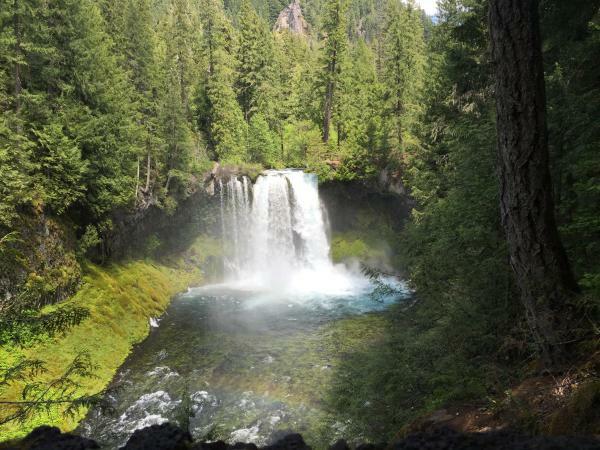 The Sahalie Falls viewing platform is less then 100 feet (30 m) from the parking lot and is wheelchair accessible. Directions: Northeast of McKenzie Bridge off Hwy 126. For Koosah Falls Day Use Area turn at Ice Cap Campground / Koosah Falls sign. For access to Sahalie Falls Day Use Area go north another .5 mile (.804667 km) and turn into the parking lot signed for Sahalie. Throughout the summer there are unique family-friendly events along this corridor. Some highlights include the McKenzie River Chainsaw Art Festival and the McKenzie River Lavender Festival.